In Utah, we are required to teach grade level content based on the Essential Elements. The Essential Elements are alternative standards based on the Common Core standards designed specifically for students with significant disabilities. Special education teachers are expected to teach each of the grade level standards to each student. That’s a pretty high expectation and requires a lot of organization and planning! How are you supposed to teach 20+ academic standards along with IEP goals, not to mention all the other things you are responsible for each day?! In my classroom, I have set up standards based centers. Instead of centers that are based on a theme or unit, I base them on the specific standards in the Essential Elements. Besides the planning up front, it’s a pretty quick and low prep way to provide instruction to multiple ability levels. And, the centers provide exposure and hands on practice to skills that I may not hit within individual IEP goals. Centers are also a great way to take an academic skill and practice it in a real world, applicable way. I get to break down each standard and really figure out how each student will be using the skill in the real world. Create a pacing guide for the year. Go through your grade level standards and select the ones that are the most important. I select standards that are tested and that are necessary prerequisite skills. Create an outline of approximately how long you want to spend on each standard. You can do this by number of lessons of by the length of time. Obviously it’s going to vary based on your students but remember that this is just a general outline. Then choose an order that you will teach the standards in and start to plug them into your school calendar. If you have multiple grade levels, group the standards the best you can by similarity. Create learning objectives for each student. This is where you can individualize within each standard. The Essential Elements tested standards have linkage levels, so I can set a goal for each standard. Find (or create) activities that fit within your standards and learning objectives. They should be easy to adapt or enrich, depending on where your students are at. You can do any type of activity! Take the time to break down the skill and think about how the students will use that particular skill in real life. Try to find activities that reflect the real world application so that you are making it functional. Find a time to fit centers into your schedule. I plan about 10-15 minutes at each center. Decide if you want students to rotate through all centers daily or weekly. There are tons of ways to make this work but you need to plan time where you have enough staff support. Run your centers! You will want to make sure that you are providing some explicit instruction on the skill, whether you do this before the centers begin through a quick whole class mini lesson or you station yourself at a center is up to you. Station your paras at your other centers and provide them with a copy of student learning objectives and an outline of how to run the activity. 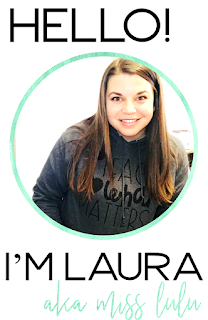 If you don’t have enough para support to put one person at each center, you could throw in an independent work center with similar but already mastered skills for students to rotate through. 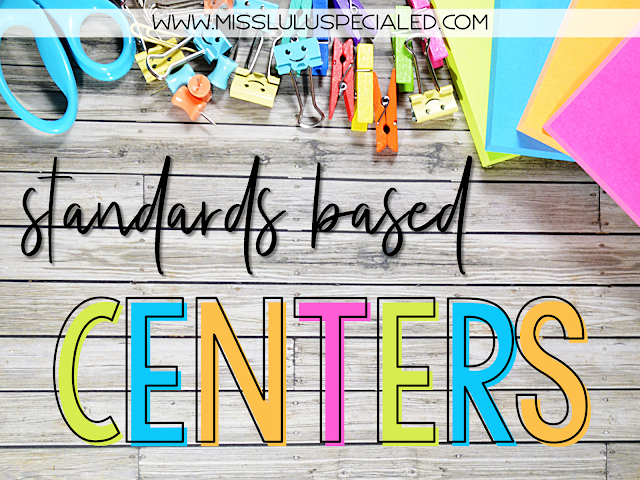 Standards based centers require teacher and staff support. These skills are relatively new and students are not yet ready for independent practice. 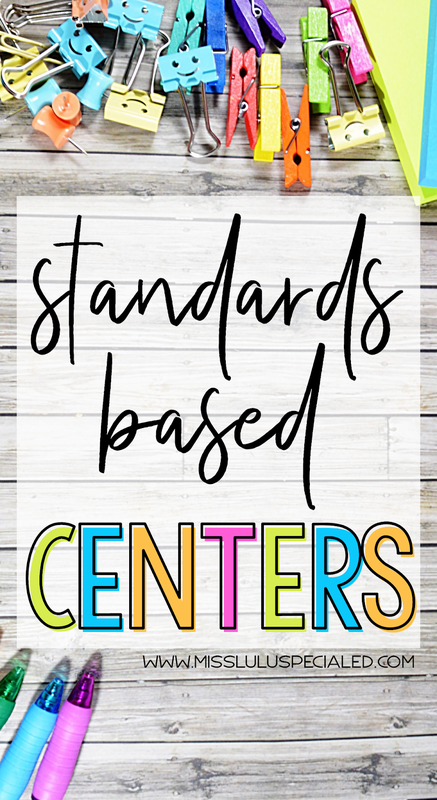 Rather, standards based centers are meant to provide hands on learning experiences with academic content that you may have already introduced in a lesson but have not taught to proficiency. Therefore, it is essential that staff understand the learning objectives and how the skill has been introduced so they can support student understanding and progress. Also, standards based centers do not replace math or language arts instruction. Rather, they provide practice opportunities for skills that we don’t work on all the time or standards that we may not cover in depth during content instruction. Let’s face it, our students take a longer time to learn and as teachers, we know that not every standard is going to be meaningful and necessary for every student. However, we need to be sure that our students are able to access grade level curriculum and I can easily provide this access through standards based centers and still have the ability to prioritize my IEP instruction for each student. Finally, I am not expecting that students move through each linkage level and master the whole standard within the year. By selecting that linkage level or creating a learning objective, I am expecting that student make progress towards that small chunk of the standard. Each student is going to start at a different level so differentiation within center activities is important. I’m not going to spend as much time on each standard as I do on an IEP goal but I am hoping to have each student progress towards the grade level target so they can continue to build those skills as they move on to the next grade. I hope this gives you some ideas for incorporating state standards into your school day! You can grab a free copy of the planning template shown above by clicking here (make sure you download it to edit). This is definitely fantastic things here! I love exactly how there are numerous differing point of views on alternative standards based on the Common Core standards designed specifically for students with significant disabilities and just what works and just what does not.